Hello one and all, and welcome! With Menace‘s abundant curves taken care of, it’s time to take a look at someone with a slightly more slender frame! The road that got me to this point was a rather strange one that began when I developed an interest in Persona 3. Eventually I ended up playing a large number of PS2 RPGs, culminating with Persona 4. In all honesty I didn’t much like any of the RPGs I played, and while Persona 3 was a good deal better (specifically the music is just plain godly…listen to the OST like…now!) than most of the others, it was still plagued with a great many glaring flaws (*cough one giant tower dungeon cough*). Thankfully, Persona 4 corrected almost all of these and it is without a doubt a game that makes owning a PS2 completely worth it! Of course, being the figure collector that I am, the first thing I did after finishing the game was rushing to see what figures had been made of the girls from the series. Sadly there wasn’t much to pick from…I had wanted to get Yukiko as she was my favorite, but since she was an exclusive from some time ago, the mark-up was far more than I was willing to pay, thus I settled for this Rise. This isn’t to say I dislike Rise, though! Honesty, all the characters in Persona 4 have their own unique charms and I’d be happy to own a figure of all of them! 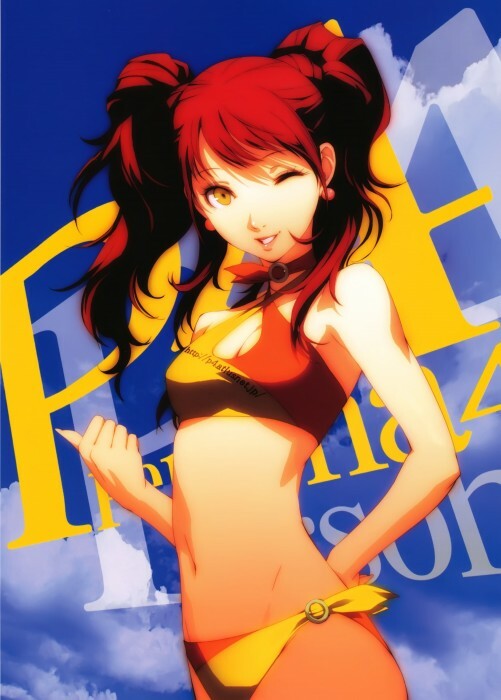 Rise in particular has a very cute character design with her petite build and her fluffy hair. The fact that she was voiced by Teh Rie just made her even better, and while her personality swings around a lot during the game as she resolves her conflicted feelings about being an idol, she was always enjoyable to spend time with so having a figure of her is a great joy for me! Chag: I’m not going to lie — I did not bring the A-game this week. Hell, I didn’t even bring the B-game! The original recording of this episode was like the movie Rain Man. I was like Dustin Hoffman and Ash was like Tom Cruise, except I had none of the crazy card-counting skills, so it was just Ash scratching his head wondering how to deal with a bumbling idiot. Thank God for the magic of editing. To complete strangers, the Gundam franchise must be a very confounding beast. There have been so many entries to the lineup over the last 32 years that it’s pretty hard to know what’s what. I’ve had people tell me that they aren’t watching Gundam 00 because they haven’t watched the old school series, not knowing that there’s no story continuity between 00 and, say, the original Mobile Suit Gundam. To be honest, I can’t blame them, because as far as the designs for the main Gundams go, they’re pretty similar. More often than not, they all have little yellow and/or white pointy things on their heads, a red chin, blue torso, white legs, red feet and waist, and to someone who isn’t familiar with Gundam, those similarities are often enough to obscure whatever distinction that remain. Needless to say, with a franchise as long-running as Gundam, it’s hard to stand out. However, this isn’t to say that it’s impossible. Asides from the original RX-78-2 (which has become a culture icon of sorts), there are a few others that has earned special mentions. 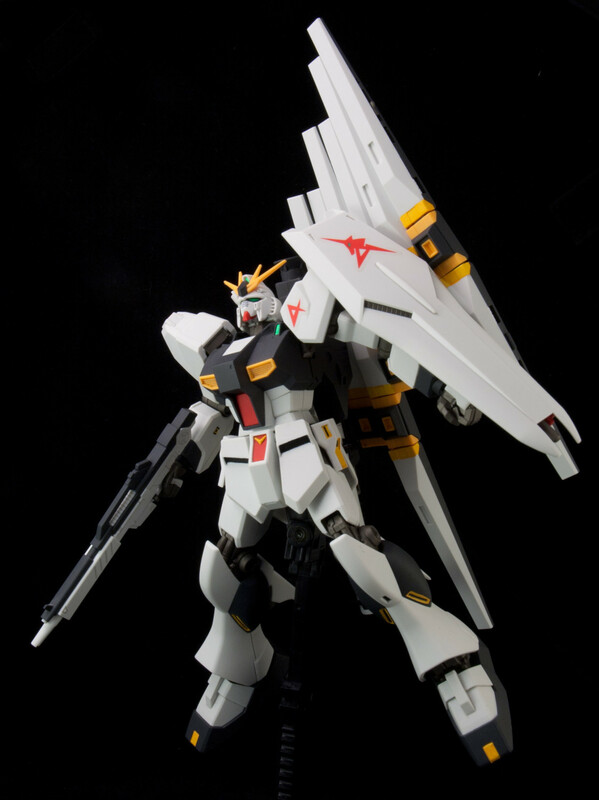 The RX-93 Nu Gundam constitutes as one of those. 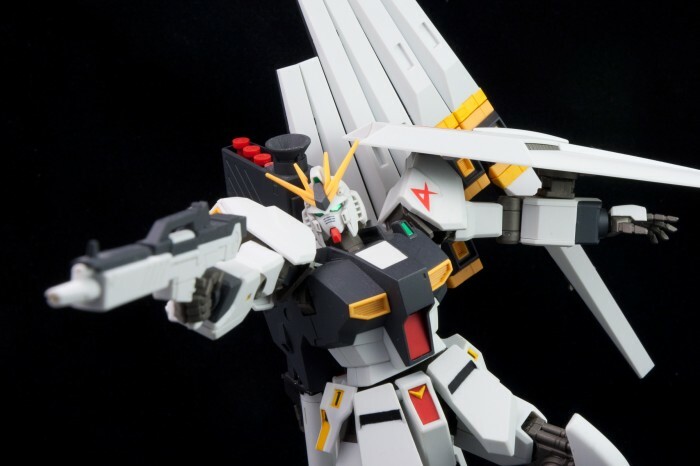 The Nu Gundam represents the culmination of early Universal Century MS technology before miniaturization trend started later on in the timeline. 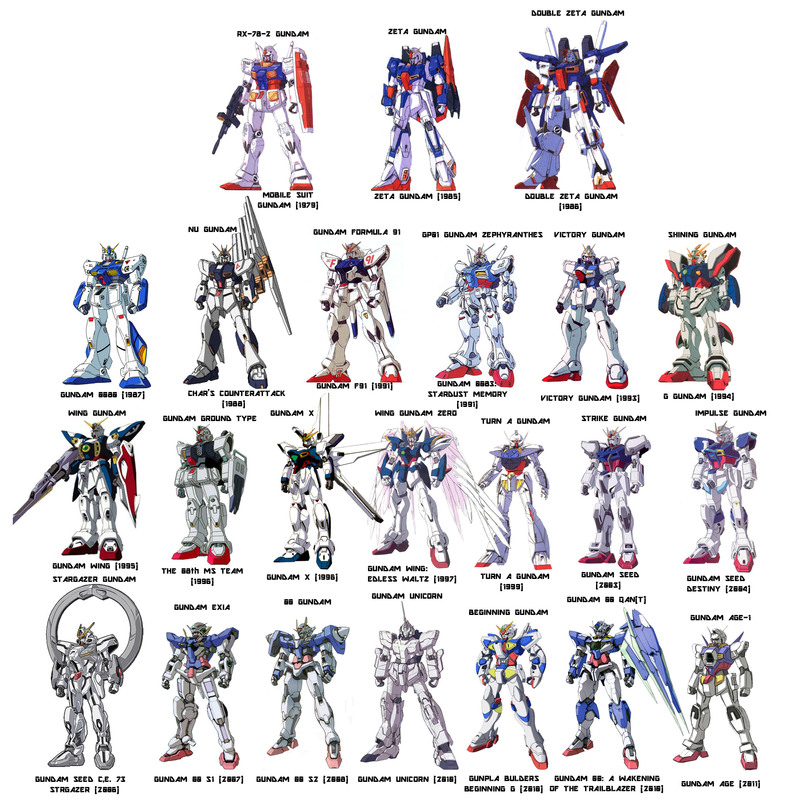 As the result, the Nu Gundam is one of the largest Gundam (not counting Psycho Gundam series, of course) in the Gundam franchise. However, the Nu Gundam’s mighty size is not its main distinguishing point; rather, much of its fame derives from its pilot Amuro Ray, the protagonist of the original series, as well as the film Char’s Counterattack in which the Nu Gundam appears. The film marked the end of the long-standing rivalry between Amuro and the fan-favourite antagonist Char Aznable. It also had remarkable production value, and thus it boasts animation quality that is still revered by fans to this day, 23 years after the film’s release. Yippie, it’s that time of the week again! Chag takes his frustration on fictional characters and Ashlotte is forced to play along. If there are any Touma fans out there, be sure to leave a comment so Chag knows that you are real people as opposed to creatures of myth! There’s not much actual talk about the figures themselves, though — check out the second half for that kind of fun stuff. The second half is all about those WonFes exclusives that you’re probably never going to get! Here we talk about what makes for a good exclusive and what makes for testicular violence. Did of the exclusives catch your fancy? What do you think about the hellspawns Ayase & Touma? Let us know in the comments!